CMG’s specializes in full-service landscape maintenance for commercial, industrial, state, municipal and multi-family properties. We tailor our service to match our customers’ needs at their site with an exceptional pro-active attention with clear and consistent communication that goes far beyond the typical. Our employees are what make the difference with their confidence and ability that comes from education, training and certification programs that are un-matched in Texas. Trusting CMG with your landscaping is a safe decision that will enhance your property, your image and your bottom line. CMG uses state-of-the-art customized sweeping trucks which provide innovative and economical power sweeping to remove litter and trash from your property with precision and professionalism. CMG performs nightly power sweeping at parking lots, parking garages and other exterior sites throughout the state. CMG’s goal is to leave an overall litter-free appearance at your property. CMG’s power sweeping is performed after business hours to minimize any disruptions with your customers and allowing for the greatest opportunity to maximize mobility throughout your property. CMG is unmatched in our professionalism, reliability and responsiveness. All of our vehicles utilize onboard GPS Tracking System allowing for verification that your property has been completed by our crews with remarkable accuracy. 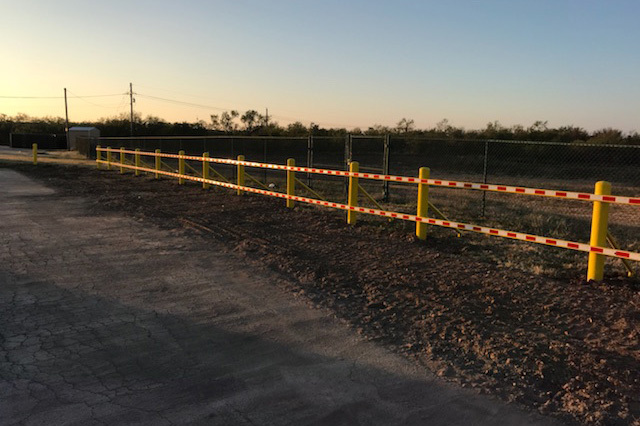 In addition to the GPS Tracking Systems, our field supervisors provide quality service checks daily to ensure our crews are delivering a first rate quality result. 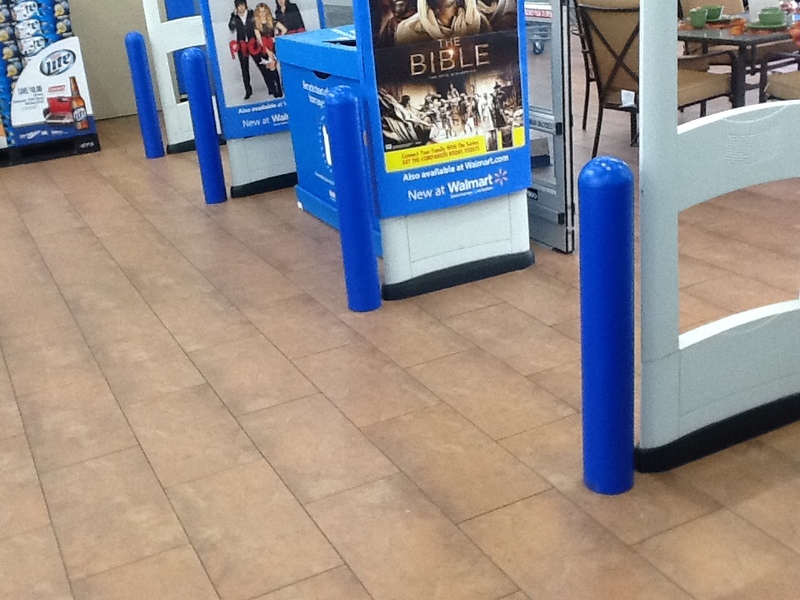 Blow out corners and other areas where trash has accumulated. Manual hand pick hard to reach areas. 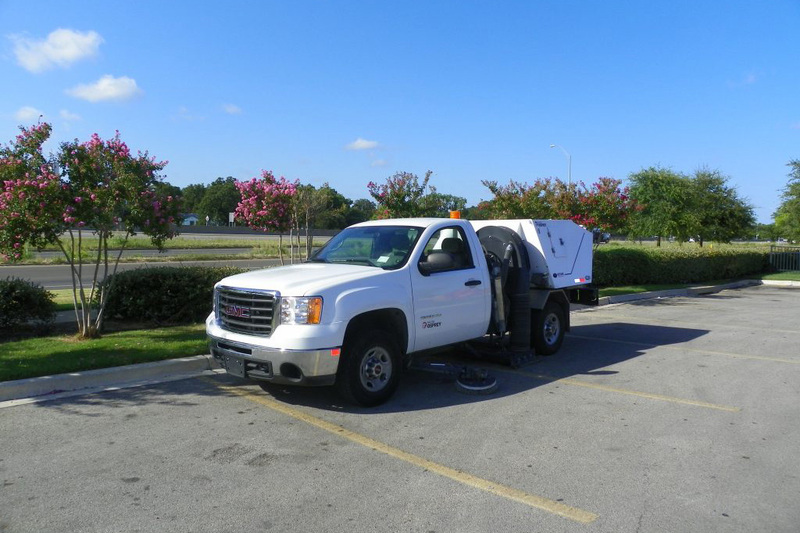 CMG is your “One Stop Shop” for all parking lot maintenance needs with your property. 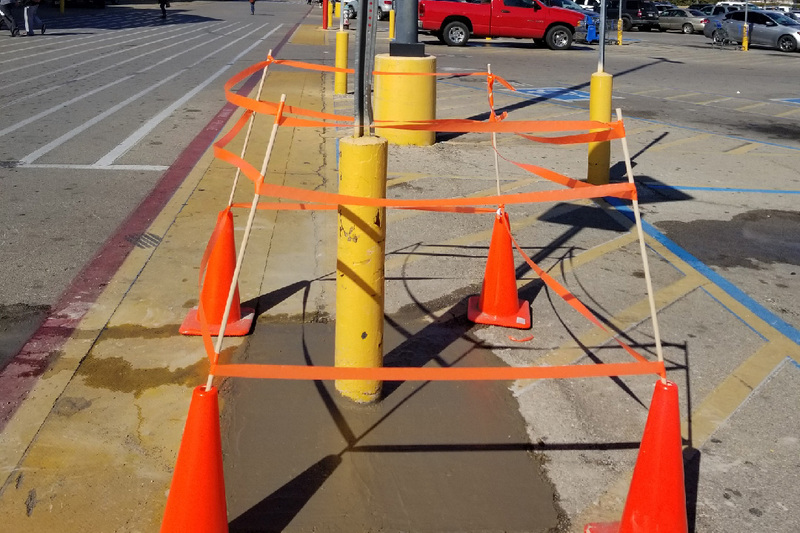 Whether its bollards, striping, wheel stops, traffic signs, custom signs, object markers or pavement markings, we can service all of your parking lot maintenance needs, large and small. We supply and install signs from the most common to custom signs for facilities needing to enforce specific rules, policies and regulations. Stop signs, No Parking signs and Handicap signs are the most common signs that are replaced due to vandalism and oxidation. 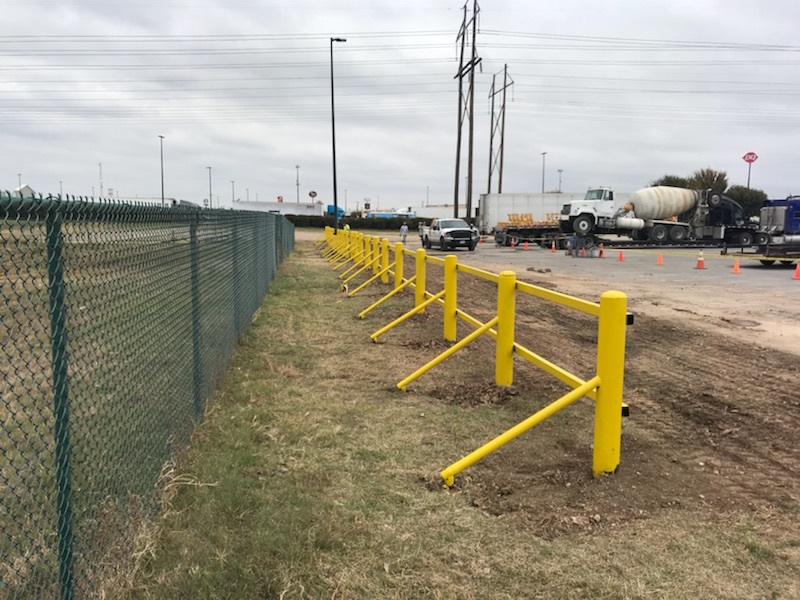 We are able to install sign poles in landscape, concrete/asphalt by core-drilling and core-drilling for bollards with sign pole in concrete/asphalt.